What demands will consumers make of brands next year and what's out there in the tech world to help solve these issues? Iris' head of innovation makes a few predictions. Technology is changing the way people interact with brands and the expectations they hold. We’re demanding more with each turn of the wheel of progress, every time one brand launches a new trick to make a transaction smoother or communication more intimate the bar is raised for all the others. Conversely every time a brand drops a ball by leaking data or failing ethically, the fear is struck into all the others in the category. To help you navigate these shifting sands of expectations here are six demands consumers will be making of brands in 2018 and the technologies that help you get there. The rise of voice as an interface will continue to get traction as people get used to the idea of talking to a machine, the current estimate is that there will be 1.8b users of voice digital assistants by 2021 (Tractia 2016). 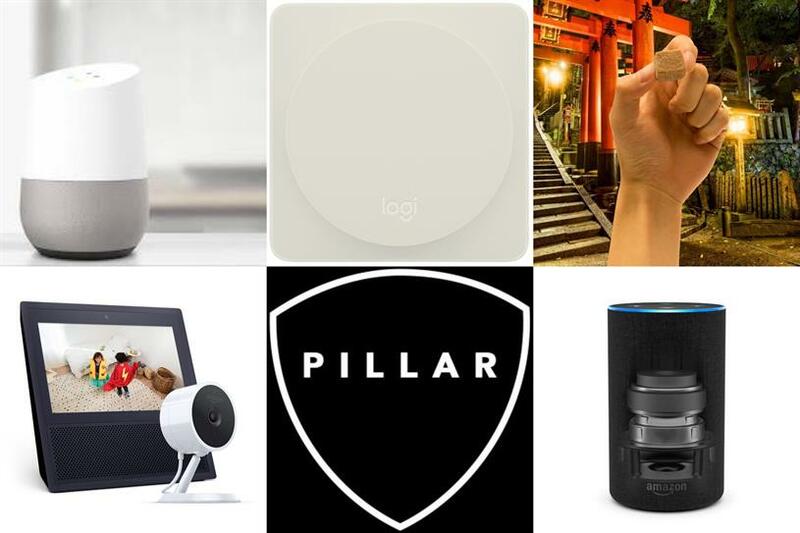 Becoming the consumer’s voice assistant of choice will be the biggest battlegrounds for the tech giants. Alexa, Google Assist and Siri are all becoming good enough to be actual utilities and wireless headphones such as Pixel Buds and AirPods are enabling effortless constant connectivity. The nature of a personal AI assistant is that it will gradually become more a part of your everyday life until you’re surprised at how dependent you are on it. These technologies become invisible gatekeepers and will force brands to rethink how they target and talk to customers. There is a shift from selling to serving as brands vie for the coveted default service spot by winning the battle of the algorithms. Consumers will no longer put up with being offered generic offers and messages, they’ll expect to be offered something relevant, a missive to be meaningful and sent to them on a channel that works for them. Amazon has set the bar when it comes to getting the personal store front right, but it doesn’t stop there. Chinese video start-up Viscovery enables brands to display ads in videos based on the content being watched. With a global average e-commerce conversion rates in the single digits there’s certainly a lot to be gained by AI driven conversion optimisation. The likes of Sentient enable brands to tweak the product range being shown on an individual basis and Qubit claim to be able to use experience gained in over 2m user journeys to optimise your own. 2018 will see lots of development in this hot AI driven area. Time, our scarcest resource, will continue to be something people strive to get grip on. Long working hours and commutes as well as stressful lives mean that on average parents spend just 34 minutes focussed time with their children per day (Highland Spring 2015). Brands who can help consumers reclaim time will be winners in 2018, check out these chewable coffee cubes. Mintel predicts that time taken to prepare will become as important as nutritional claims on food packaging. Facebook’s IQ team discovered that mobile devices actually change our perception of time, having shown research study participants two videos of equal length on mobile and desktop devices, those who viewed on mobile estimated the content to be 30% shorter. This effect translates to purchase journeys as well with time taken from interacting with a mobile ad to making a purchase being 13% faster on mobile. The ability for the environments we live in to protect us and make our lives more comfortable will continue to rise. Busy connected families will make more use of smart locks, heating, security and even scents. Other than the odd smart button the primary interface for the smart home will be voice, channelled through your personal digital assistant. It’s worth highlighting the opportunities IoT can provide to those less able to look after themselves, IBM are working on The Internet of Caring things and companies like Howz pick up on passive signals such as when a light is switched on so that carer’s can be kept in the know. We’ll see the increase in demand for IoT and Smart Home devices continue with Gartner (2017) predicting the total spending on such services to reach $2tn. This should signal opportunity for brands who can develop an on-going role people’s lives through service provision. In the wake of high profile leaks and the incessant onslaught of badly targeted spam consumers will become increasingly savvy when it comes to protecting their identity and being careful about who receives their data. The Guardian covered this example of journalist obtaining 800 pages of personal data from Tinder covering her 870 matches and 1600 intimate messages. Key legislation in the form of GDPR will mean that organisations have to take a long hard look at what they collect and why, offering greater control and explicit opt-ins for consumers. Innovative initiatives such as The Pillar Project are popping up to shift the power into the hands of consumers, resulting in a Personal Data Economy. Brands that see these moves not as a regulatory hurdle, but as an opportunity to level up the way the collect, handle and use data about their customers will ultimately be the winners. Choosing a brand based on its social purpose or sustainability credentials will become a key consideration for the consumer of 2018. With 72% of Gen Y & 73% of Gen Z (Nielsen 2015) saying they would pay more for brands with sustainable offerings it’s clear being good also means good business. Unilever reported that its "Sustainable Living" brands such as Ben & Jerry and Dove grew 50% faster than the rest of the business in 2016. Equally, tech brands can no longer keep moving fast and breaking things without being held to account as Uber, Facebook and Google have all learned this year. Brands who can align their strategy with an authentic purpose and then make a meaningful contribution will do well out of consumer’s heightened awareness and expectation. The core theme of being a better brand in 2018 is going to be building deeper empathy for the people you want to be a part of your brand. By getting closer to their needs, behaviours, ambition, fears and desires you’ll be able to play a more meaningful role in their lives. It’s about building a brand with them not just for them. Once you have the human truths to work from then get your timing right and you’ll be able to ride the rising tide of technologies and trends that work for your audience.